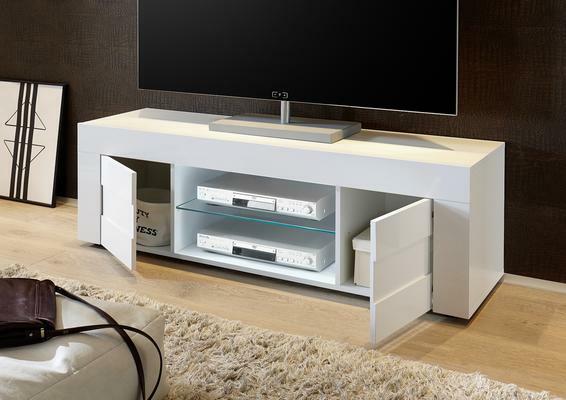 We are pleased to introduce the new Napoli Summer Collection Large TV stand in Gloss White finish with contrast light slate grey finish wooden doors. 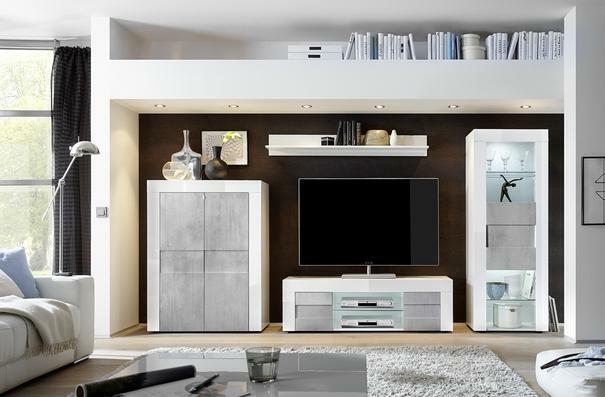 The Napoli Large TV unit has two doors (please note the design of the unit is for compartment space), and a central glass shelf with AV access point to the back. 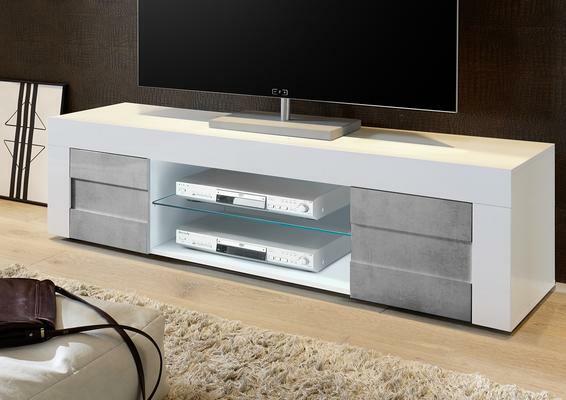 The recessed design of the doors and slate grey contrast enhance this modern design TV stand.